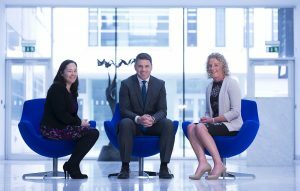 Wednesday, 10 May 2017: Bringing together property, mortgage and legal advisors at one event to help first time buyers and homeowners considering a move, the KBC Mortgage Lounge returns to Cork’s City Hall on Thursday, 25 May 2017. From bidding on your dream home, to legal obligations and securing a competitive mortgage, the KBC Mortgage Lounge will provide all the necessary information to make informed decisions when it comes to buying a new home. Speakers at the Cork KBC Mortgage Lounge include Sean Michael Collins, Area Manager (South & West) with KBC Bank, Helene O’Donovan of Fitzgerald Solicitors and Ann O’Mahony of Sherry Fitzgerald, who will be on hand to share, simply and clearly, useful tips and insights into home purchase and the mortgage process from beginning to end.